Denver gas fire pits equal quality family time. Gas fire pits with warm dancing flames, what else on your property can get parents, children and yes, even teenagers out of the house and together as a family right in your own back yard? A warm, entertaining and instantaneous camp fire that will result in needed and often neglected communication throughout the family old and young alike. Events to produce family quality time are just that, an event. Camping, vacation and trips are all wonderful ways for the family to spend time together. However, with busy lifestyles and a struggling economy, they don’t happen often enough. Being able to step into your own back yard and spend very little while enjoying your friends and family around a warm and inviting camp fire is priceless. Having an outdoor gas fire pit is greatly rewarding. It is a piece of valuable art that adds beauty to your back yard. The area around it is the best place to hang around with friends and family during gatherings and parties. It is also a cozy place to gather during the colder months and extends your outdoor time. 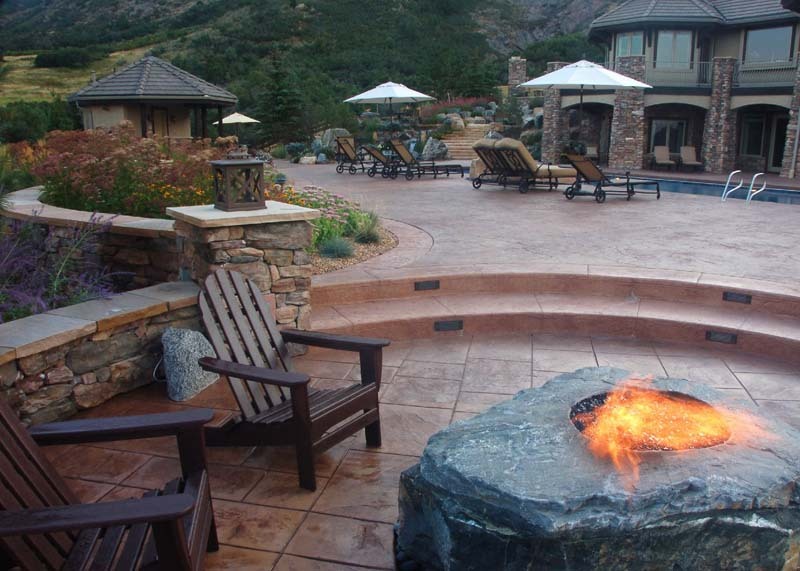 In addition, gas fire pits allow you to just light the pit, sit back and relax… no wood hauling, chopping or storing. Gas fire pits have all the charm of a traditional campfire without the mess and the smoke that you can get with wood. Plus, burning natural gas is clean and is safer to use since you won’t be dealing with any ash. It will draw the family from the house and possibly a few neighbors as well. Also, don’t forget about custom gas fire pits for a very unique look. For me, whether we have 20 minutes before the kids go to bed or all night on a weekend with our friends, our gas fire pit has proven to be a wonderful source of quality family time with many benefits.